The guys at the Lick Library are donning their red hats and fat-suits. They’re launching their 2010 Advent calendar. This means that, for every day between now and Christmas they will offer a series of special offers. Like the Advent calendar thing that you might have had as a kid, each day you open a box and see what’s inside. Instead of some, slightly sub-standard, chocolate though, inside these virtual doors is some sort of Lick Library offer. I’ve got to admit, when I received this, I spent some time wondering why it wasn’t called ‘Learn To Play Vivian Campbell”. The cynic in me can’t help associating this (upcoming) release with the very sad loss of Ronnie James Dio earlier this year. The Lick Library are launching a new DVD tuition course. In the wake of their Andy James’ Shred Guitar in Six Weeks, comes their latest course, Andy James’ Metal Rhythm Guitar in Six Weeks. The folks at Lick Library say they are confident that, by following the course, you’ll hear and see progress in the timeframe. I’ve been an AC/DC fan forever. The first riff I ever learned was The Jack. I’ve been listening to Angus and the boys for so long that it’s sometimes a surprise when I’m reminded just how popular they are with, you know, normal people. Let me explain a little. Many of the bands I grew up rocking to haven’t gained the widespread acceptance, and even love, that AC/DC have. Everybody loves AC/DC. And if you don’t, why don’t you? If you’re a guitarist, you’d better have a good reason. More from the Lick Library. These guys like to keep busy. On the 11th of February, 2010, the Lick Library will broadcast a real-time webcast from their own studios. This will feature an interactive session and live performances with Lick Library co-founder Stuart Bull. Stuart has taught literally tens of thousands of guitarists worldwide with the award winning Lick Library Guitar Workshops. He has shredded with some of Rock and Metals greatest guitarists so he will be able to give you the benefit of his considerable experience. Another release from the Lick Library. Five releases if you want to be exact. 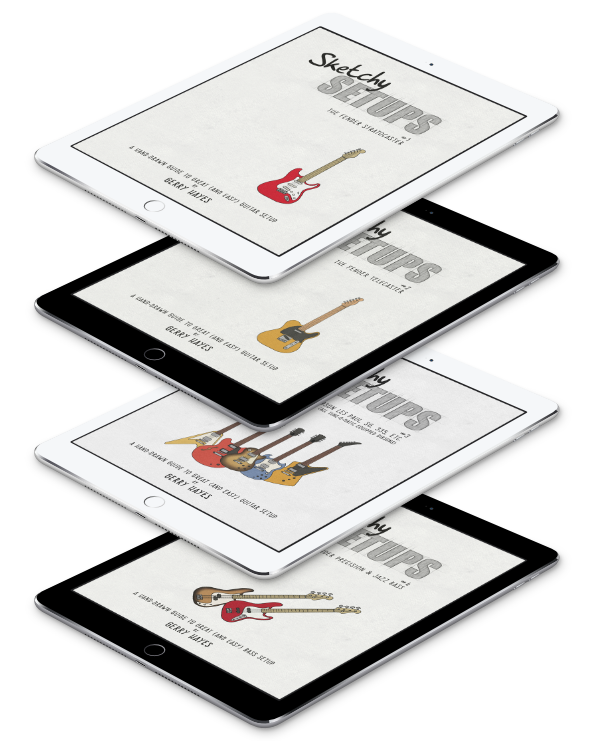 Never ones to sit on their guitar-playing hands, the boys and girls at the Lick Library have brought out five guitar tuition DVDs all celebrating the guitar-geekery of Jimmy Page. And, lets face it, everyone could use a little more Pagey in their lives. First up are two volumes of Led Zeppelin goodness. Fancy a chance to see Eric Clapton and Jeff Beck perform in the O2 in London? ‘Course you do. You’re not mental, are you? Well you can win one of two tickets to see Clapton and Beck as they play one of only two shows in London. Enter the Lick Library competition and keep the 13th of February free just in case. Wondering what body-part you’re going to have to lop off for this? Actually, it’s far less gruesome (and a lot more fun). Lick Library has just released a new series of guitar tuition DVDs aimed to help you learn and play tracks by Eric Clapton and Cream. The first of these, Learn To Play Eric Clapton (RRP £24.99) contains guitar lessons based on five classic tracks from Clapton and Cream: Layla, Sunshine Of Your Love, Cocaine, White Room and Bad Love. The idea is to give you some early Cream tracks and some solo stuff too. If you’re a rocker of a certain age, there’s a good chance you spent a chunk of your formative years listening to early Ozzy albums desperately trying to figure out what the hell Randy Rhoads was playing. You whippersnappers may have done similar with the albums of the latter-day Ozzy with Zakk Wylde. Lick Library have just announced, not only a Randy Rhoads, but also a Zakk Wylde version of their Learn To Play – The Solos DVDs.